Top Floor 1 bedroom in a beautiful Pre-War elevator building with live-in super at the corner of bustling Cortelyou Road, home to great restaurants, shopping, Food Coop & Sunday Greenmarket, and the Q train. The apartment faces West from all rooms, with great light and views over the mansions of Ditmas Park, and features a 12 x 16 living room, entry foyer with a large closet, stacked Washer/Dryer, separate kitchen with pass-through window, white cabinets and appliances including dishwasher and subway tile backsplash. 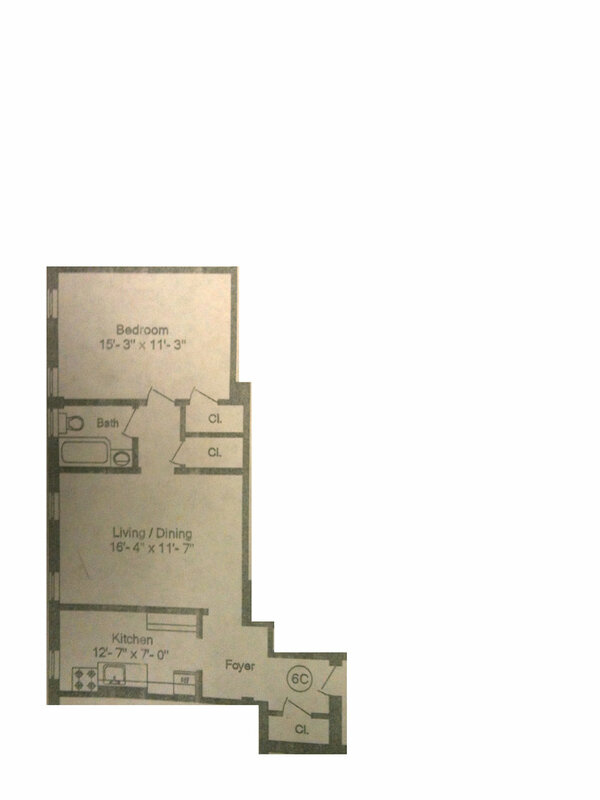 There is a renovated full bathroom, and a 10 x 15 bedroom with another large closet + storage above.